Perhaps the one question you keep asking yourself is whether it is possible to have a reusable budget plan. The simple answer to this question is YES. 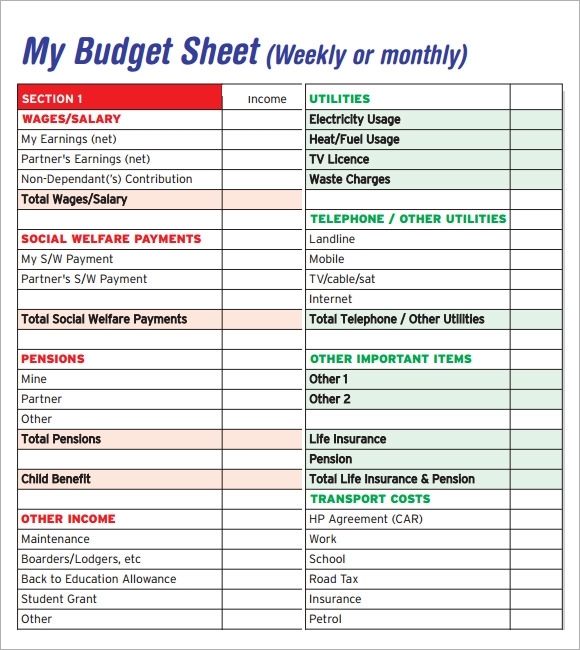 In fact, you can use a budget sheet template available free for download to create a reusable budget depending on your time preference.Time preference in this case means the span within which you create a new budget. You could use the free templates for daily, weekly, monthly or even Annual Budget Templates preparations. The biggest advantage is that you can use the same budget plan repeatedly, or simply download and use a new template should you need to make adjustments on previous budget plans. 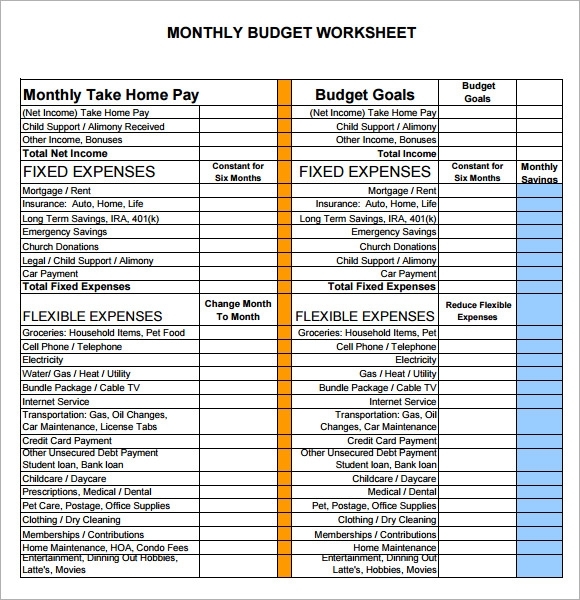 This sample of free budget sheet template has two different section. The first part consists of several tips and guidelines of managing the finance and making appropriate savings. The second sections consists of a table where a tab is kept on the variable and fixed expenses including debt payments. The second section keeps a track of the savings and when you subtract the overall expense from the income, you get the savings. 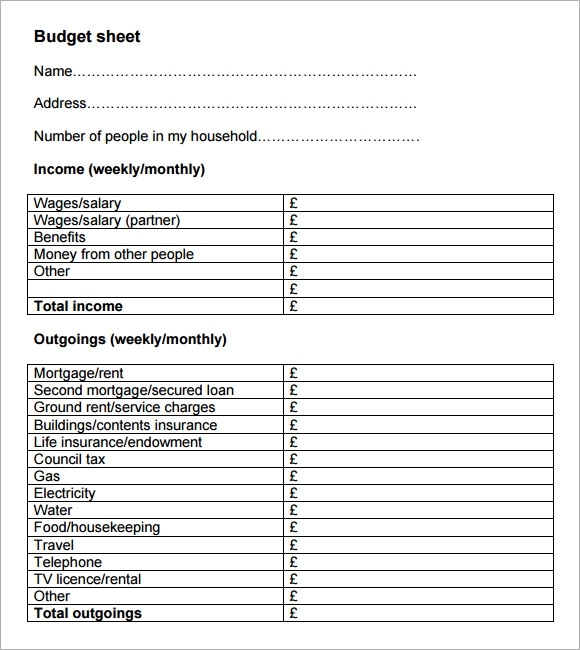 This sample of budget sheet monthly is a well-designed template which can be used for keeping track on various types of expenses which occur on a monthly basis. The expenses are divided into 5 different categories like monthly budget, monthly actual budget, and the difference between the two. There is also a provision of writing down the notes at the end of each section so that it can be used as reference for further research and planning. 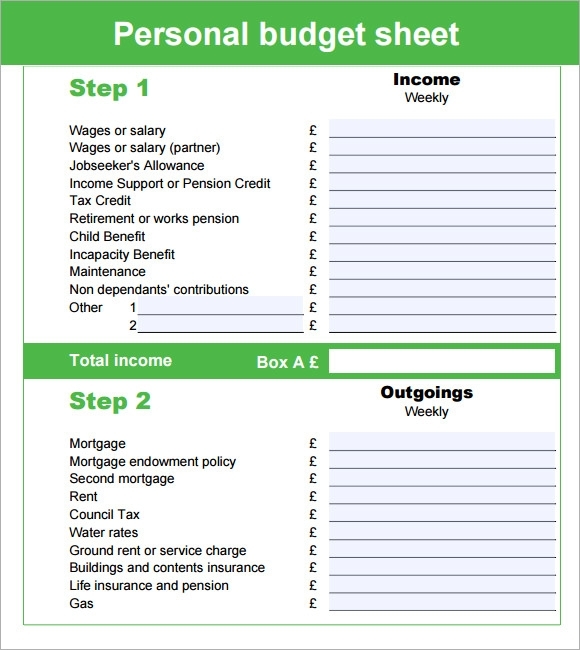 This sample of personal budget sheet is meant for preparing a personal budget estimation for an individual. The entire set is divided clearly into 6 different and distinct steps. The first step consists of an estimation of all types of income from various sources. The second section consists of all the expense. The third section is dedicated for finding out the total outgoing. Step four is dedicated for calculating the priority debt while step five is for total priority debt repayment. The final section is dedicated for a final money for credits calculation. 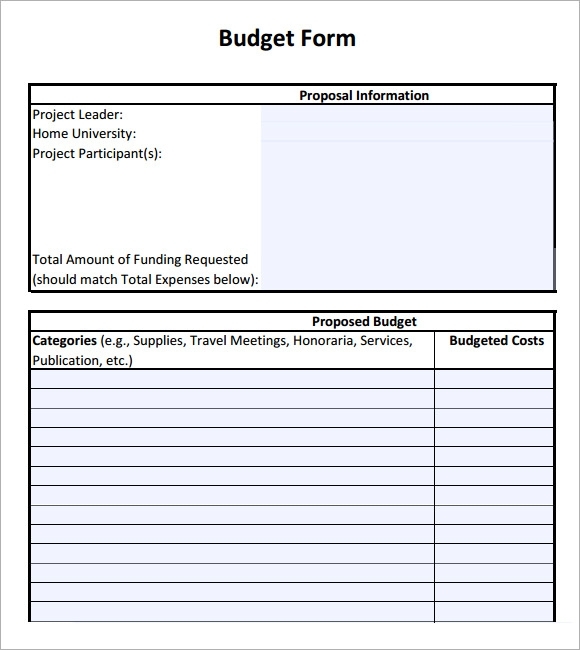 This sample of budget sheet template free printable is again divided into two distinct sections. The first section consists of a proposal information, where the name of the project leader, project participants and home university is given along with the total amount of fund requested. In the budget proposal, various factors like supplies, honorary meeting, publications and services are taken into taken into consideration. What Are The Two Aspects Of Creating A Project Budget? Preparing a project plan has two different and distinct approach. One is known as the top down approach, while the other is known as bottom up approach. In the top down approach a sum of money is taken as the principal amount and the cost of the budget is contained within that budget. In the bottom up approach all the factors contributing towards the overall cost of the project is taken into consideration, and then a quote is given to the customer. The top down approach is very effective for people who have limited supply of resources. You can also see Budget Spread sheet Templates. What Are Some Of The Approaches Of Managing Your Finance? Creating a budget and adhering to it is not an easy decision. Aim for one month time period and try to keep a track of all your expenses for one month. Once the month is over make a list of all the items on which you have spent your money. Then proceed to make a budget and check the areas where you can cut down your expenditure. Next look into your source of income and be very honest about your savings and once you get a good idea about the savings, make sure, you keep a tab on your budget and o not end up overspending. There are several ways in which we end up wasting our hard earned money. A little consideration can help us to save a lot. For example, when you can manage to borrow or rent a thing for short term purposes, avoid the urge to buy it. If you somehow have some extra money, plan to pay a higher mortgage. Use a credit card with low credit utilization. Lastly always plan your expenditure, depending upon your actual income and not on what you plan to earn in the future. 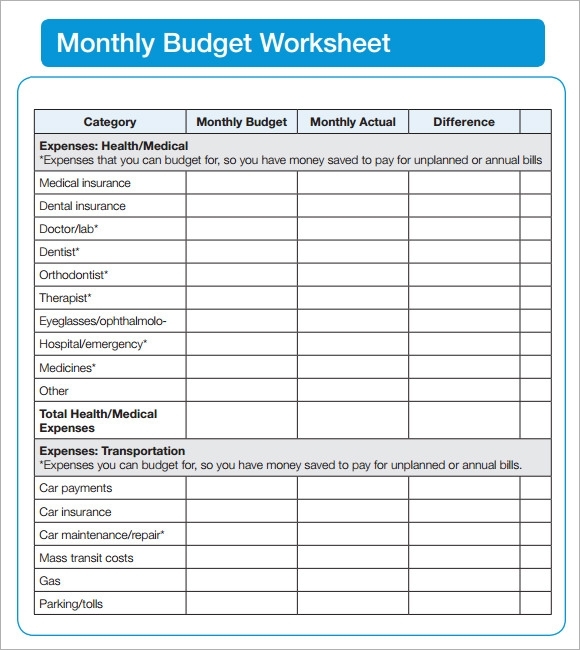 A sample of budget sheet template is a wonderful tool, which can help you to understand where your money disappears every month. Our exclusive range of budget sample sheets in various designs comes in a printable format and can be used for used for creating a budget for corporate as well and domestic purposes You can also see Budget Worksheet Templates.